Bryan White is driven by his deep desire to serve as an advocate for his clients. His passion and commitment to aggressively representing the interests of others stems from his experience working closely with individuals who have been harmed – physically, financially or emotionally – in circumstances that were avoidable. As a result, Bryan is often relied upon to represent individuals in medical malpractice, personal injury, employment discrimination, commercial litigation, consumer fraud, and whistleblower matters, among others. Known for his experience, practical and effective approach to problems, and ability to connect and persuade, Bryan handles all phases of litigation. He manages cases from pre-suit negotiations all the way through trial. Bryan and his partners have obtained numerous verdicts before juries and arbitrators. Regardless of venue, Bryan has a track record of achieving favorable results for clients. In addition to his trial work, Bryan has significant appellate experience in both state and federal courts. He has argued before the Supreme Court of Missouri and Missouri Court of Appeals, and has authored briefing in the Supreme Court of the United States. InTemplemire v. W&M Welding, Inc., SC93132, following a jury trial Bryan handled a successful appeal challenging the jury instruction and causal standard required in workers’ compensation retaliation cases. The appeal resulted in an opinion by the Supreme Court of Missouri in April 2014 overturning 30 years of precedent. The opinion was named the biggest appellate decision of the first half of 2014 by Missouri Lawyers Weekly. In United States ex rel. Miller v. Weston Educational, Inc., et al., 840 F.3d 494 (8th Cir. 2016), Bryan and co-counsel handled a successful appeal in a $32 million fraud case against a for-profit school arising under the False Claims Act. 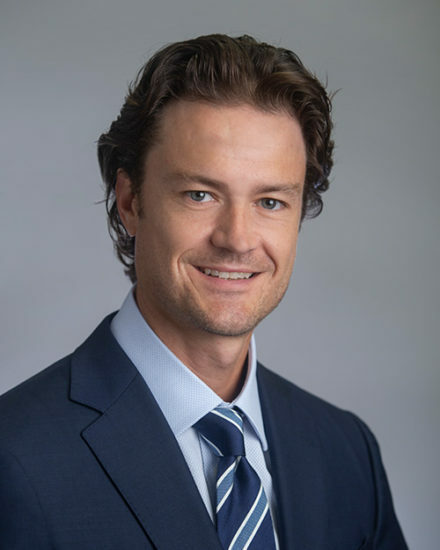 Prior to joining the firm in 2010, Bryan practiced with a commercial litigation firm, Rouse Hendricks German May PC, where he gained experience handling complex commercial litigation matters, including securities litigation, trade secrets litigation, and internal and government regulatory investigations. Bryan is also a 2009 graduate of the Kansas City Missouri Bar Association Bar Leadership Academy. Following graduation from law school, Bryan worked as a judicial law clerk for the Honorable William Ray Price, Jr. of the Supreme Court of Missouri. Bryan earned his J.D. from the University of Missouri at Columbia School of Law. While in law school, he was a member of the Missouri Law Review and received the Sidney L. Faber award. Upon graduation, Bryan was elected to the Order of the Coif. He received his B.A. in History from the University of Missouri at Columbia in 2003.